Lavender Life: A Day In The Life! Since I give out a lot of business advice and emphasize that a lot of time must be spent working on your business, I’m often asked how much time I spend on mine and what I actually do. In short, I spend a lot of time and whether I’m online, in world or not, I always have my Second Life® businesses on my mind and am constantly trying to evaluate and think of new things. That aside, here’s a typical day for me regarding my Second Life® enterprises. I usually arrive at my real life job 30-45 minutes early and after starting up my computer and with a fresh cup of coffee, I venture on to the internet. My first stop is the Second Life® web site to check on my overnight and early morning transactions. At this point it’s just a quick look over of sales. I then tab over to the Showcase area to see if any of my submissions have been included (not so far). Second up is my hotmail account to check on emails received and sending responses if needed following by a cursory view of my two blogs, checking the traffic counters and ensuring the blogs are showing up properly. I then log in to XStreetSL to review sales and views. I scan both and make note of items that are viewed a lot and not selling, but also noting what is selling. I tab over to view my items to check on changes in ratings before I settle down for a review of the forums. I generally scan the forums for anything that looks interesting or may have significance to my businesses and if so, read the posts and respond if necessary. If I have something that concerns me, I’ll scan the forums for posts relating to those topics. 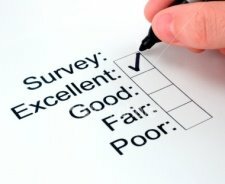 Done with XstreetSL, I head on over to SurveyGizmo to check on the surveys I have running. I scan the responses to the survey questions, making note of anything I feel requires action and also make a list of the respondents and the amount they will be refunded that evening. A trip to Subscribe-O-Matic to view new members to my group and a quick check on the terminal activity then off to SL Blogosphere and SL Bloggers to check on my activity there. At this point I’ll scan You Tube and Flikr viewing my sites as well as doing a few searches to see what shows up (anything that interests me actually). I do the same at Picasso Web Albums and then scan a few of my favourite sites (Mermaid Diaries) and search a few of the fashion and music related sites. Periodically, but not daily, I will check on my account at Statcounter just to see if it’s working correctly. I don’t need to check it often as the traffic figures do show up on the blogs, but this site gives me a little more detail. For the balance of my break, I do a variety of things. I review the blogs page by page to see if anything should be updated or changed, review each business making notes of things that need or should be done and do some general internet searches for related business items and information. From this, I make my to do list for the evening. I normally get home between 5:30 and 6 PM immediately boot my computer before changing and deciding on supper. Before beginning supper, I log into Second Life® to check on IMs, notes and notices received. I have a quick look around the sim and if my staff are on I’ll also have a short conversation with some of them. Logging out and rebooting again (clearing cache) I break to have supper and watch a little television. It's usually about an hour or so and then I’m back on to Second Life® for the balance of the night. With my to do list in hand, I’m off to accomplish as much as I can. In addition to my to do list, I have a daily schedule of things that need to be done, so I make sure those get done as well. Fridays and Sundays seem to be my busiest, with new releases on Friday and Administrative functions on Sunday. A lot of things come up during my time on Second Life® so I never seem to accomplish everything I set out to. As well, I get ideas while logged in that I either act upon or ad to my to do list. While in Second Life® I am constantly searching the net for ideas that do pop in my head, have paint.net and gimp open for anything that needs to be made and pop in and out of XStreetSL over the course of the evening. In addition, I try to visit all the sites again for updates. Sometimes it seems busy and sometimes it doesn’t. Sometimes it’s overwhelming and sometimes it isn’t. Add in trying to market your businesses and creating your products and it makes for a very full day. But I have to admit, I love it. If not, I wouldn’t be doing it. Remember, to be successful, you have to work on your business, maybe not as much as I do, but some.